Consumers who have eaten frozen tuna recently may be at risk of contracting hepatitis A, although no illnesses have been reported so far. 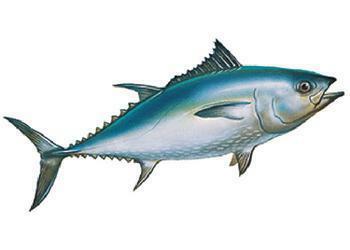 The U.S. Food and Drug Administration says that frozen tuna distributed by Hilo Fish Company and sourced from Sustainable Seafood Company of Vietnam and Santa Cruz Seafood, Inc., of the Philippines, may have been contaminted. The Centers for Disease Control and Prevention recommends that those who have eaten any of the contaminated tuna in raw or undercooked form in the last two weeks should talk to their doctor and consider being vaccinated against the disease, which affects the liver and can be both severe and long-lasting. Those who have already been vaccinated do not need to take any further action. If you're not sure whether you've been vaccinated, getting an additional dose of vaccine will not be harmful, CDC said. Symptoms of hepatitis A in adults include fatigue, abdominal pain, jaundice, abnormal liver tests, dark urine, and pale stool. People with hepatitis A may not have symptoms until 15 to 50 days after consuming a contaminated food or drink. CDC reports that while the hepatitis A vaccine is recommended for all children, vaccination rates are lower than for other recommended childhood vaccines. Unvaccinated children can become ill and not have symptoms. The problem came to light on May 1, when the Hawaii Department of Health notified the FDA that a sample of frozen tuna cubes from Indonesia tested positive for the hepatitis A virus. On May 2, the FDA contacted the Tropic Fish Hawaii LLC, a subsidiary distributor of Hilo Fish Company, to get more information. Tropic Fish Hawaii LLC initiated a recall because the affected product had been distributed to its customers in Oahu, Hawaii. The state of Hawaii embargoed the lot that tested positive and the FDA confirmed the sample was positive. On May 16, Hilo Fish Company notified the FDA that it had submitted samples of additional shipments held in its cold storage facility in Hawaii to a private laboratory for testing and received additional positive results for the hepatitis A virus. Imported tuna from that facility were sourced from Sustainable Seafood Company and Santa Cruz Seafood and were distributed to restaurants and other retail locations in California, New York, Oklahoma, and Texas. The New York State Department of Health and the FDA verified that product shipped to New York was not sold to the public. The FDA’s investigation in connection with these firms is ongoing. The first recall, which took place in Hawaii, consisted of imported raw frozen ahi tuna cubes sourced from PT Deho Canning Co. of Indonesia. None of that product is thought to remain on the market, meaning it has either been eaten or disposed of. The current recall, which began May 18, consists of frozen yellowfin tuna steaks from Sustainable Seafood Company and yellowfin tuna cubes from Santa Cruz Seafood. This recall by Hilo Fish Company includes Tuna Steaks, 8 oz. individually vacuum packed bags, production date code: 627152, Lot number: 166623; Expiration date: 2018-10-01 and Frozen Yellowfin tuna cubes, random; Individually vacuum packed; 15 lb. case, date code: 705342, Lot number: 173448; Expiration dates: 2019-04-01). A list of restaurants known to have served the contaminated tuna is available on the FDA website.